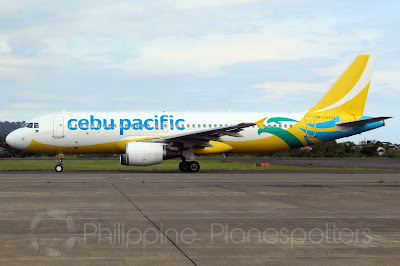 Aviation Updates Philippines - Leading Philippine carrier Cebu Pacific has achieved full compliance with the International Air Transport Association (IATA) Operational Safety Audit (IOSA), joining a roster of 429 airlines worldwide that have strictly complied with the most stringent of international standards governing aviation safety. It is considered as the accreditation with the highest standards for safety in the airline industry. IATA SAFETY ACCREDITATION. Cebu Pacific Air bagged the IATA operational safety accreditation after completing the operational safety audit. Photo by Dirk Salcedo - PPSG/AUP. "We are committed to upholding the highest possible standards for the benefit of our passengers. Hence, we chose to undergo the rigorous and stringent audit requirements for IOSA. Since it is considered the internationally-recognised and accepted benchmark for airline safety, we wanted to be sure that our protocols and regulations meet IOSA standards," said Lance Gokongwei, President and CEO of Cebu Pacific Air.